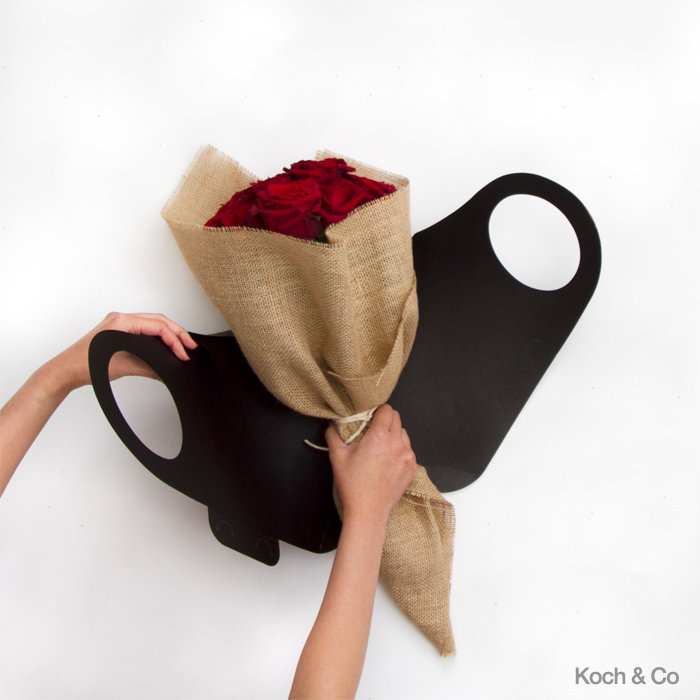 What are the dimensions of the Kraft Paper Flower Bags? When flat, each bag measures 65cmWx29cmH (they arrive flat packed). Once assembled, each bag measures approximately 40cm long and 15cm high. 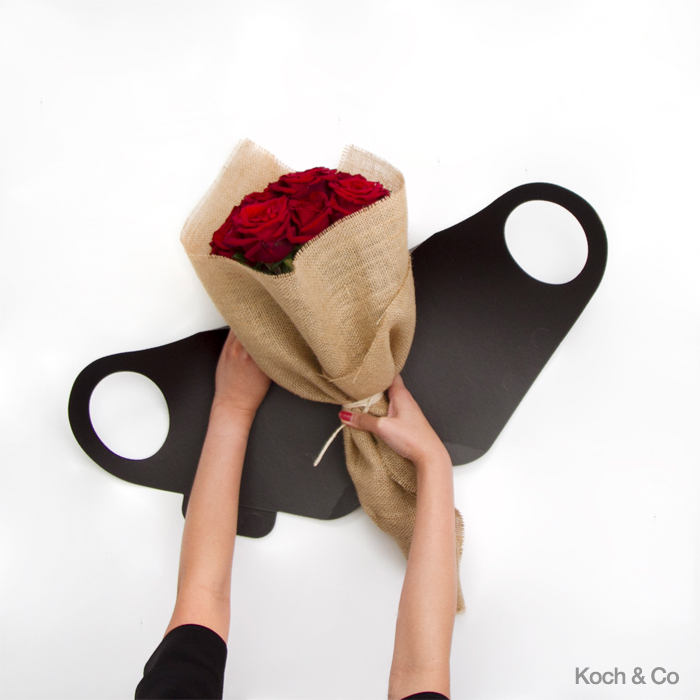 How strong are the Kraft Paper Flower Carry Bags? The Carry Bag is made from strong, durable, 300gsm Kraft paper to ensure you can safely carry your flower bouquet without any breakage or tears. What bunch size can I carry in the Kraft Paper Flower Carry Bags? We have designed our carry bags suitable for small to medium arrangements. Are the Kraft Paper Flower Carry Bags water resistant? Yes they are. They include a PE coating on the inside. 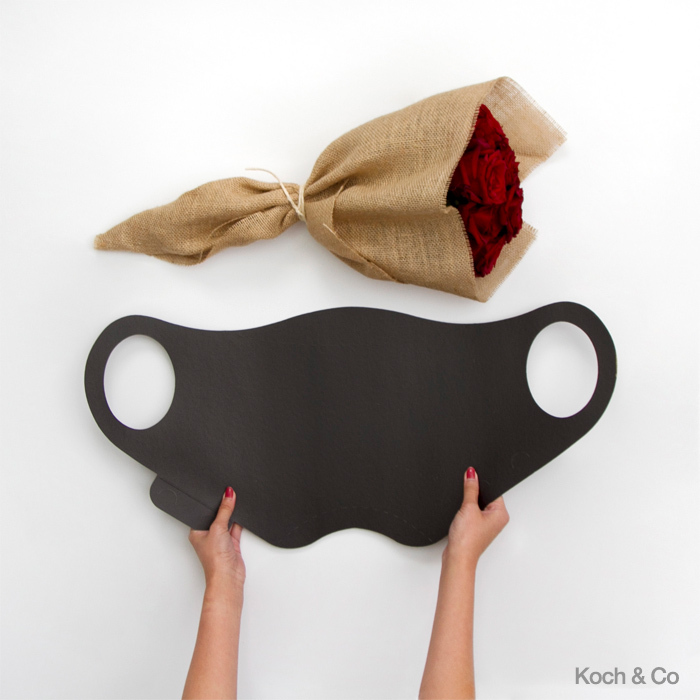 How do you assemble the Kraft Paper Flower Carry Bags? 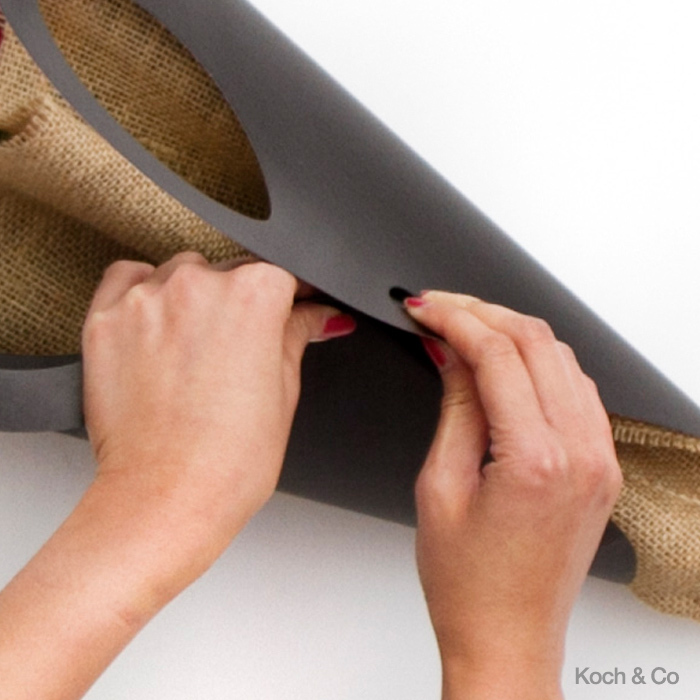 Step 1: Lay the Kraft paper sheet flat (they arrive flat packed). Step 2: Fold the bottom and top parts inwards (they are already pre-folded). Step 3: Gently place your flower bouquet in the middle of the bag. 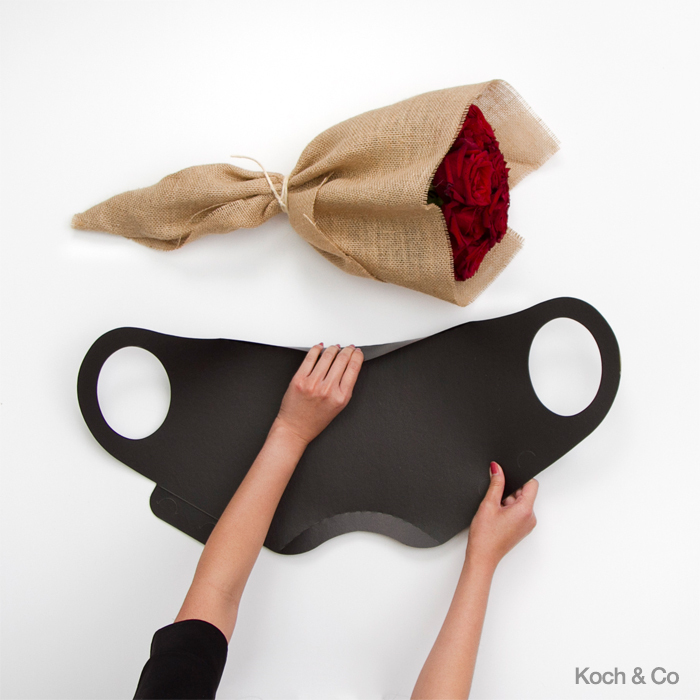 Step 4: Fold the left and right parts of the bag over the bouquet. Step 5: Attach the 2 retainers clips together. Step 6: Grab the handles and safely store and carry your flower bouquet. 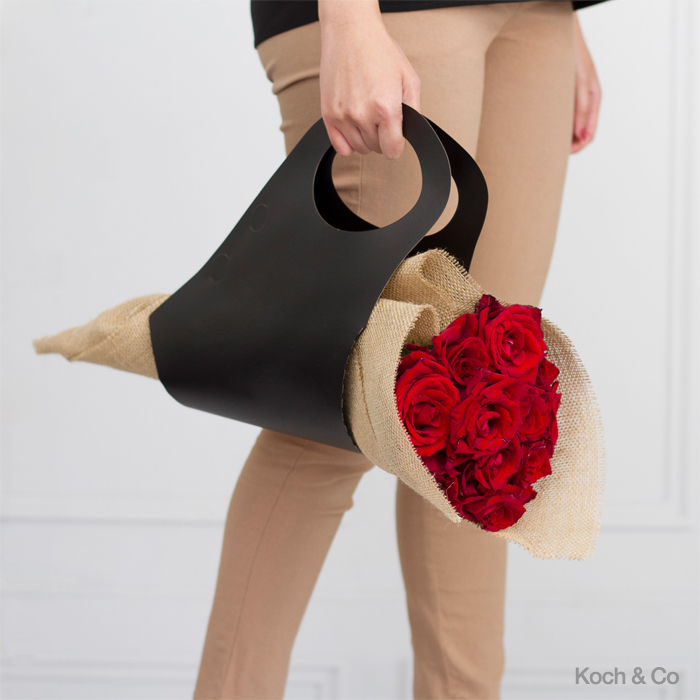 Discover our new range of Kraft Paper Flower Carry Bags.